I almost wanted to hold on to this skirt for awhile before wearing it, just to let the Limsanity calm down a bit, but I changed my mind. To be honest, I did struggle a little bit trying to decide how I wanted to wear this. I kept wanting to reach for my trusty chambray or go matchy-matchy with a cobalt top. 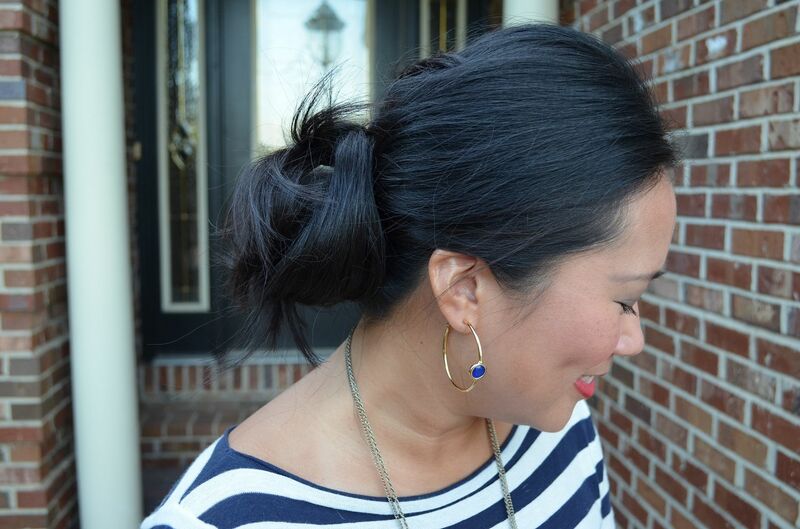 Navy and white stripes has become such a neutral combo for me lately, so I opted for this top. The skirt definitely has a girly vibe to it because of its shape, so I wanted to funk it up a little bit with these peep toe booties - which are ridiculously comfortable by the way. Would love to see how you guys are sporting your Phillip Lim stuff! Please share! Limsanity!! Love that. I know about it...and love it(! )...but don't have anything from the collection yet :( I really, really like how you styled this skirt. 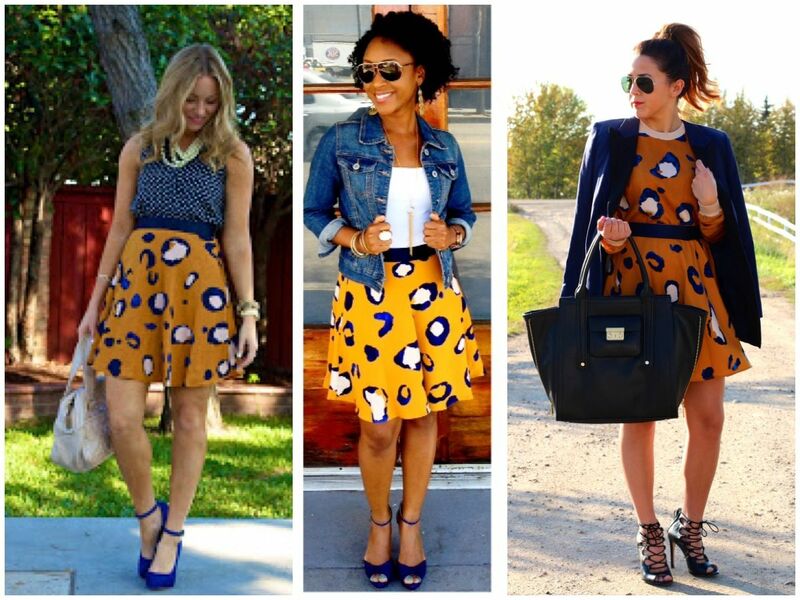 The pattern mixing is fantastic! Awww you totally need *something* from this collection! I had only gotten this skirt, but there was a boom sweatshirt and scarf at my Target so I decided to just cave and buy them. Thank you so much for the sweet note! you are quite the mixologist! 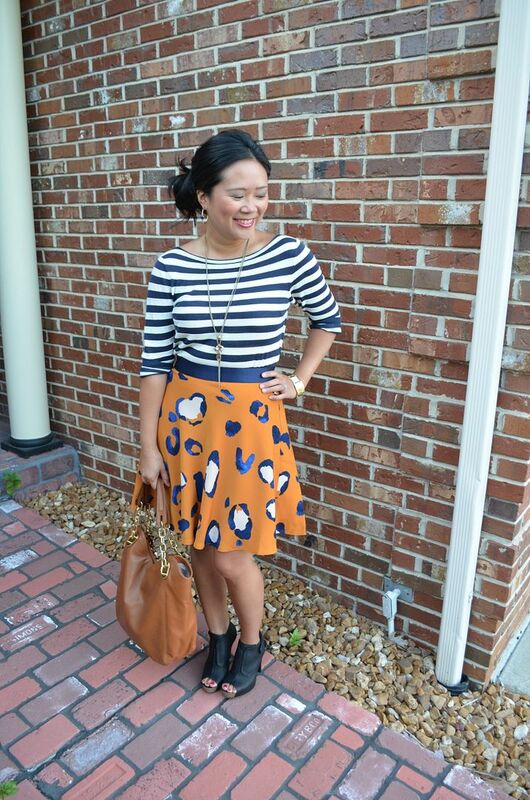 love the stripes paired with this skirt. stopping by from wiww...enjoy your day! Mixologist - love that! Amazing how well stripes go with other patterns! Thanks so much for reading! 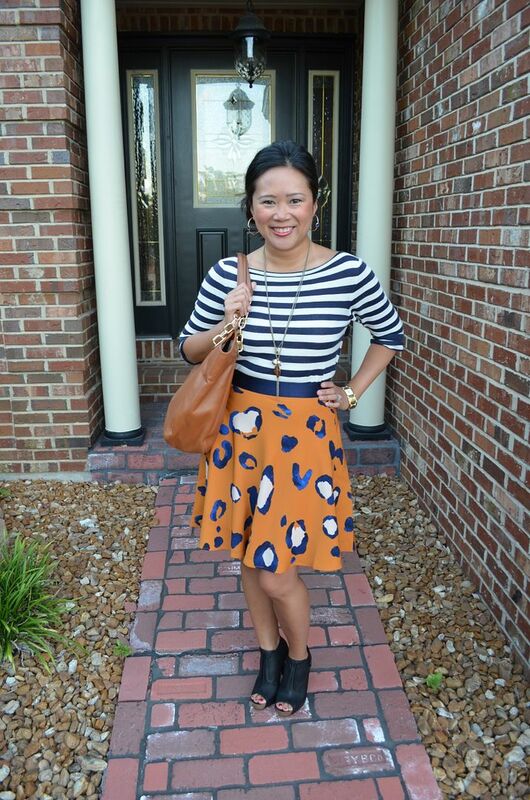 OMGosh I absolutely LOVE how you've styled this skirt, Carylee! It's probably the best I've seen so far! 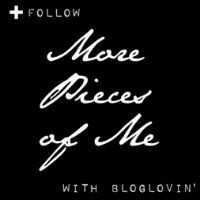 Stopping by from the pleated poppy linkup! Wow - thank you so much! That means a lot! How good would my navy Tory Burch perforated wedges look with this!!? It would look amazing! I can't wait for you to get yours so I can see them together!!! I love the skirt! And I think that everyone having it is a good thing! It definitely gives you lots of inspiration. I love the way you wore it with stripes! Thanks, Ashley! Inspiration is always a good thing! Helps your style continuously evolve! I love how you styled your skirt! 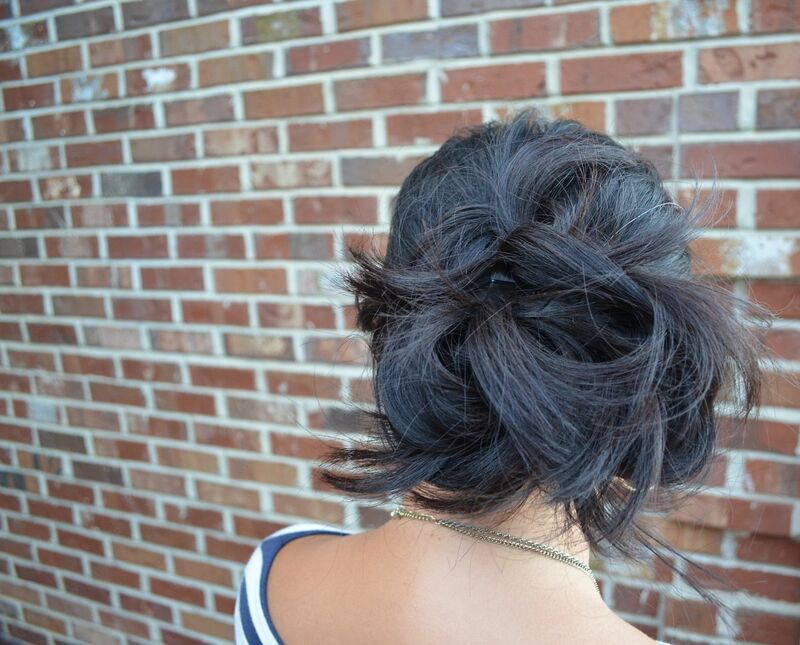 And that updo is so fun! Thanks, Katie! On both counts! I'm not creative with my hair, which makes me appreciate the fact that I can manage this updo on my own! Completely agree about the blogger reality vs real life reality! Love being surrounded by fellow addicts! :) Thanks for the sweet note, lady!! I think the yellow satchel was my fave bag! Great buy! I ended up getting the Boom sweatshirt and scarf. Can't wait to see how you style yours! And yes, you need the skirt! For sure! 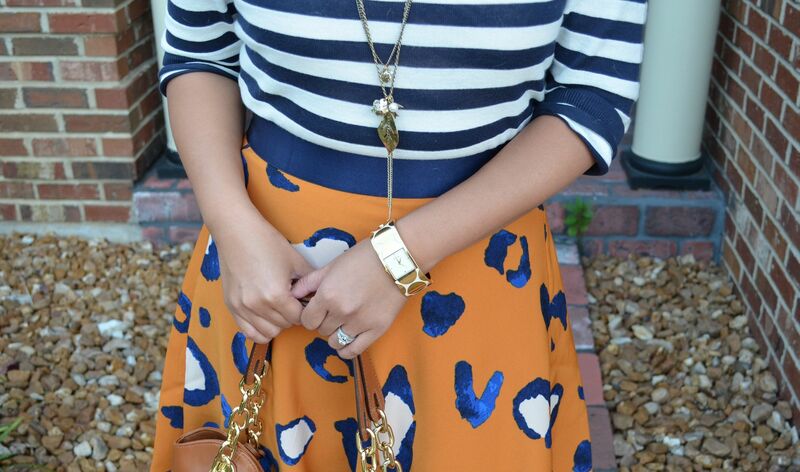 Wow, I want that skirt now - I love how you paired it with the stripes! You should totally get the skirt!! And thank you so much!!! I love this skirt on you!! It's so pretty with the stripes. I really wish I bought it! Well, if you change your mind, there were plenty at my Target as of Sunday, so I'm happy to look for your size :) It's a great skirt! Thanks for the sweet note!! I LOVE that skirt and what a great combination!! Looks fabulous on you! Thank you! Definitely recommend this skirt! It's pretty fab! OMG I am so stealing your look for tomorrow!!! Thanks and I promise to give credit! Yay! It gives me great delight to know you were inspired by something I wore! Steal away and can't wait to see it! I am so glad you did this! I love your rendition! You sweet thing! I just opened up your blog and saw myself :) Thanks for featuring me!!! We need to do a colab ASAP. I will reach out to you next week to see what we can come up with. Your stripes look PERFECT!